Many of you probably have used Craigslist before to buy and sell things locally but did you ever stop and check out the “free” section? It’s incredible some of the things people are willing to give away simply due to lack of time or manpower. 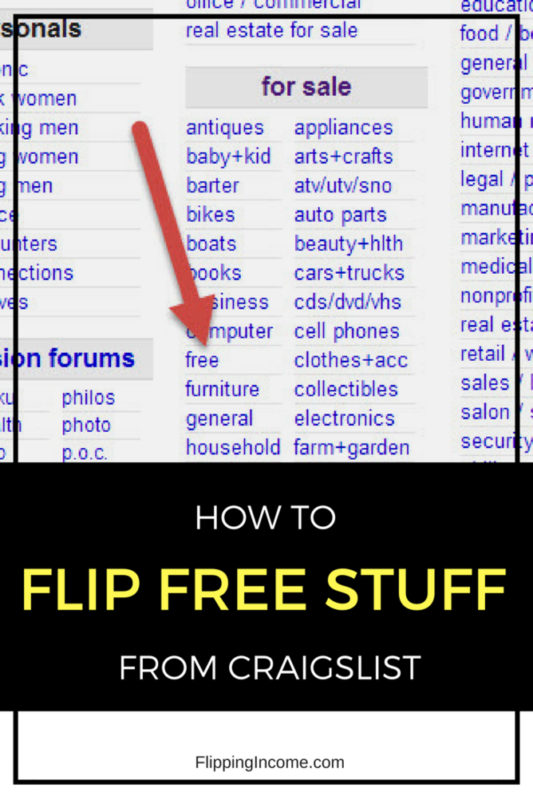 Let’s take a look at how to flip free stuff from Craigslist. How Do I Navigate to the Free Section on Craiglist? Browse to Craigslist.org on your browser and then select the nearest city to you. Next, you’re going to be presented with the main page with several categories. They include housing, personals (watch out for this one), discussion forums, etc… but most importantly you are looking at the for sale category. Under the for sale category, there is a subcategory called free. This section is dedicated to free things that people don’t want anymore want and desperately out of their home. What Can I Find In The Free Section on Craigslist? These are things are worth hundreds to thousands of dollars when new. Why Are People Listing Things for Free? So what’s the catch? Why would people give away such expensive items for free? Simply because the owner’s inability to move the item himself or herself. When the items were purchased new, the owner probably paid movers or installers to get the item in the house or on the property. Now that it’s been years down the road, the owners don’t feel like paying someone else to come in and move them or uninstall. They rather save that money and give the item for free to those willing to put the time in to haul it away. What Do I Need to Get These Free Items? In order for you to pick up the free items (mostly the large/heavy things), you’ll need a truck and at least one extra person with you. If you have a pickup truck already then you’re already 1/2 way there. Minivans or large vans can work too. If you’re stuck with a small SUV or sedan, most likely you’re out of luck. But that doesn’t mean you can’t rent a Uhaul truck or a home depot truck if you really wanted to pick something up. Next, make sure you can get a friend or brother/sister that can help you haul. Basically get someone you can bribe with some beer or lunch/dinner. Don’t expect the previous owners to be helping you no matter how small. One of the reasons why they are letting you take things from them free is because they don’t want to deal with it anymore. How Do I Sell the Free Items I Pick Up for Profit? Instead of retail arbitrage, this would be considered Craigslist Arbitrage. Just because the prior owner didn’t sell their item doesn’t mean you can’t. 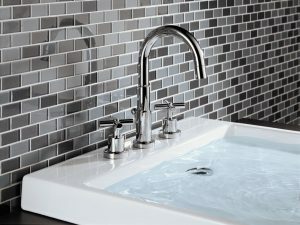 This is especially true if you are able to deliver these large items to potential buyers. Also if you picked up something broken such as a riding lawnmower and now it is fixed, you are in for a huge payday. This is pretty simple, simply hold a garage or yard sale and put our the items. Again if you have the ability to deliver, that’s going to make it so much easier for you to sell large items. But even if you don’t, many buyers have their own trucks and family members they can bring along to pick up things. If you want to maximize your profits, take a look at How to Have a Perfect Yard Sale. Depending on what you’ve picked up, there might be specialty buyers out there. For example appliances such as fridges/washers/dryers might be picked up by people who are appliance flippers. They usually buy, repair and resell appliances. Pianos may be sold to music stores. Wood pieces such as doors and furniture can be sold to antique shops. Be creative and reach out to people. There are certain items that owners are simply bonkers to be giving away. These very highly valuable items are going to be in very high demand. The owners will get hit with hundreds of emails so in these cases, don’t try to email them. Stick with calling or texting. You should tell the person you’re on your way and call when you’re ready to leave your house. Remember early bird gets the worm. Do not assume that free items will be there whenever it’s convenient for you to show up. How to flip free stuff from Craigslist is a great way to make extra money. You never know what you might find and the best part is, there are new things being listed every day. BTW Craigslist has many cities listed and if you’re not afraid of a little driving, it might be worth your time to check out the free listing section from other nearby cities.